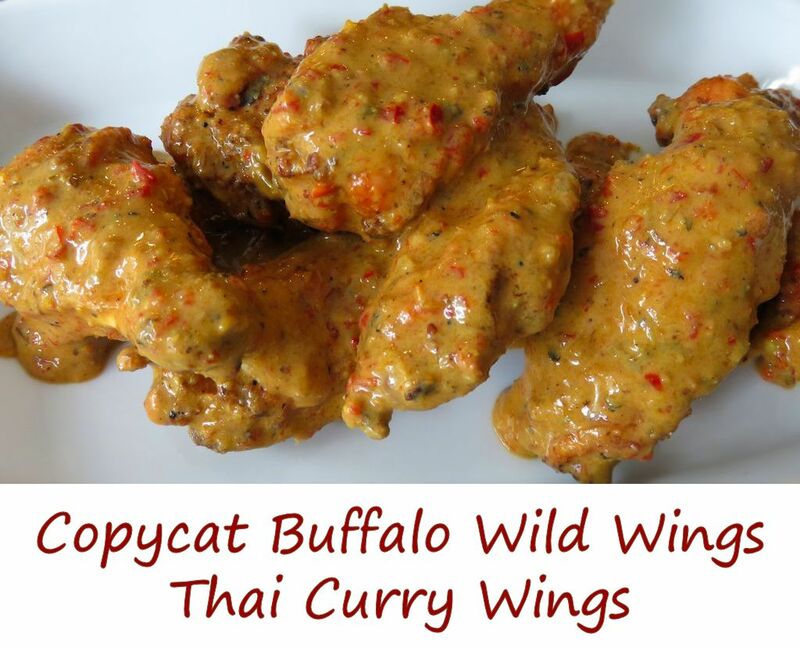 This entry was posted in Chicken Wings, Copycat Recipes and tagged buffalo wild wings copycat, Copycat Buffalo Wild Wings Thai Curry Wings, recipe, thai curry wings by Mike. Bookmark the permalink. Soooo, how close in flavor is this sauce compared to bdubs? When their TC sauce first came on the scene(in limited areas and for “limited time”) and i tried it, it became right then in there, my fave. Pushing Asian zing to the side for awhile, i started buying Bdubs Thai curry by the bottle for their ingrediant list (minus the fillers and preservatives) so i could duplicate it before they discontinued it. It became such a hit for them that as we all know by a year or so ago, that its a mainstay now in their menu!! Obviously i love it because I’m searching the recipe again (mine is written down taped to my pantry door) just to see whay others are doing and your article is like less than 72hrs old…. lmao!! Hi Danny! I think it’s mighty darned close to the original. I haven’t sat down with both and done an intense taste comparison but I can say that this recipe is my favorite. I could just drink it from a jar. It’d be great on other things besides wings but I can’t get passed just how good it is on wings. Thanks for stopping by. I’m always up to talking about wings! PS: You mention loving curry. My wife can’t stand the stuff, but I love it! I plan on substituting curry for chipotle powder in my chipotle Shake ‘N Bake recipe this week. Keep an eye out for it! My wife is the one who introduced me to curry and i admit, it took a southern minute for me to gel with the flavor. That was some 34ish years ago! Currently there are four varieties of curry in my spice CABINET as opposed to a rack! Lol, I’m crazy i know.. I didn’t grow uP a culturally foodie type. However when she started jet setting with her aunt all over the world and coming home and telling me about all the foods that they had tried when jauntering about, it was time to let my tbuds explore! With thanksgiving over i decided to not make the traditional turkey pie but rather a scratch turkey &curry soup. Real stock/broth and all. Chipotle&curry!!? Ooooah.. I grow cayennes and have been making my own LHS since 2014 and my next endeavor is to smoke some jalapenos just for the chip powders!! Looking forward to your next article Mike and thanks for being here for all of us!